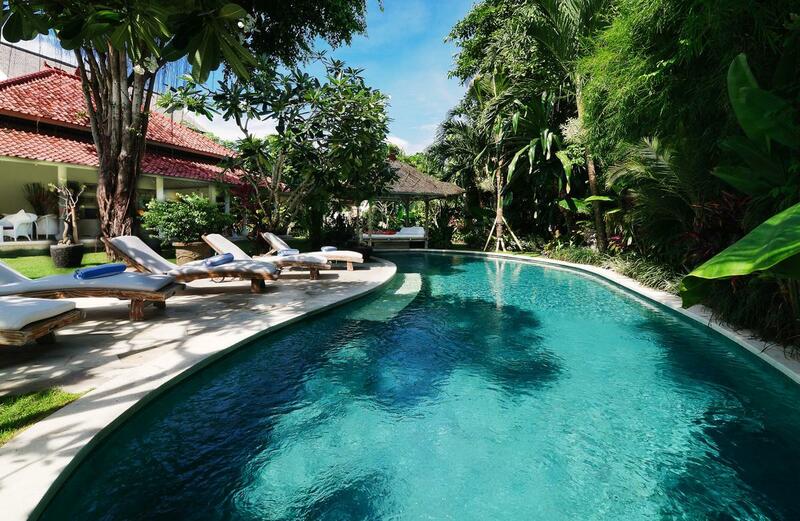 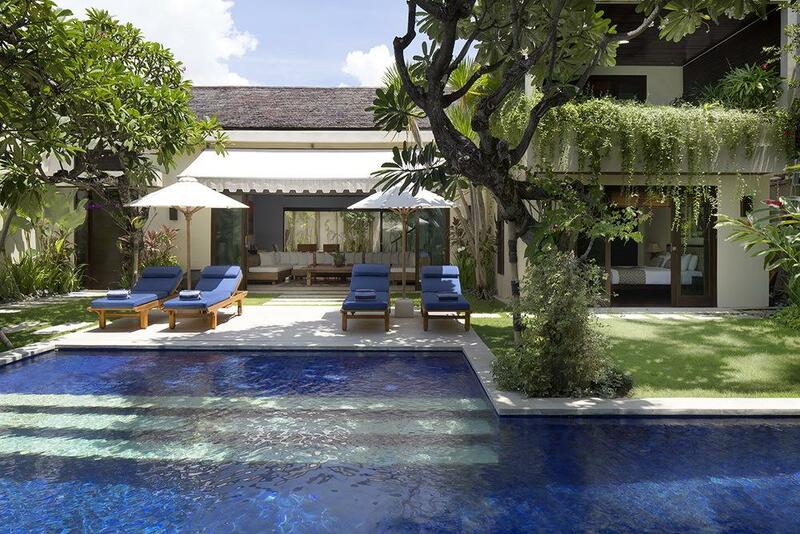 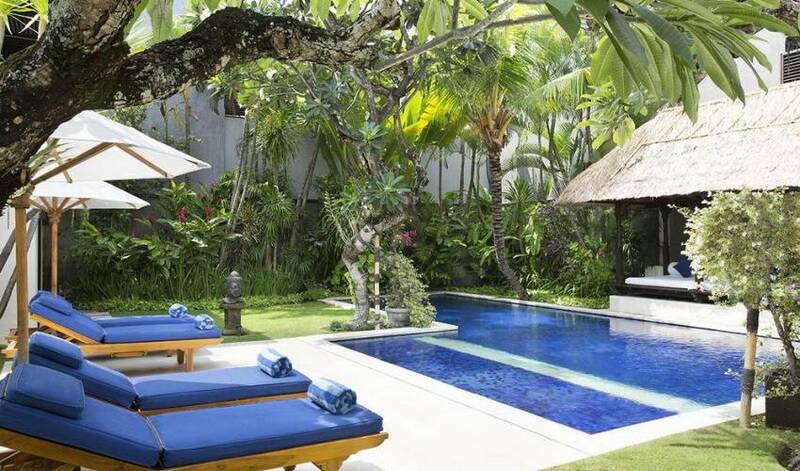 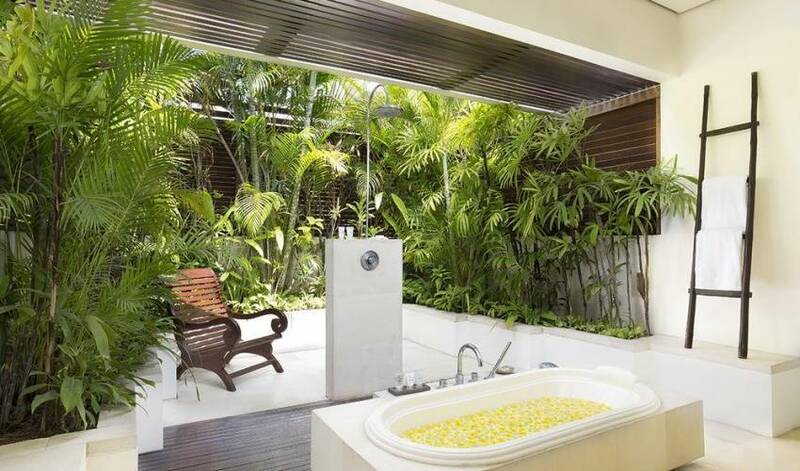 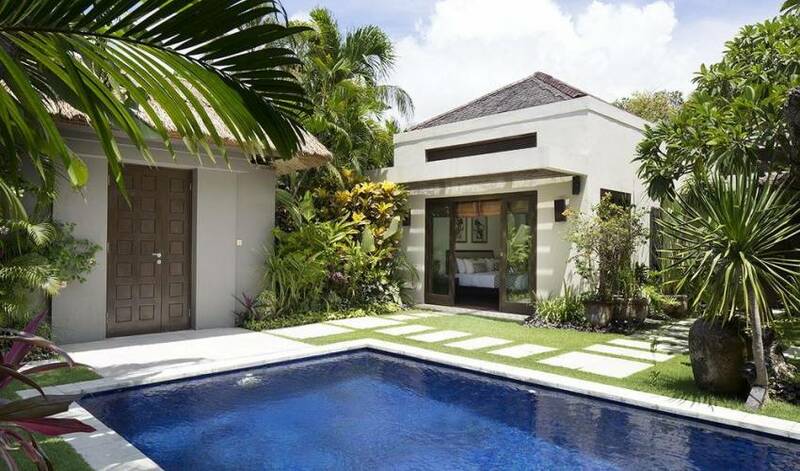 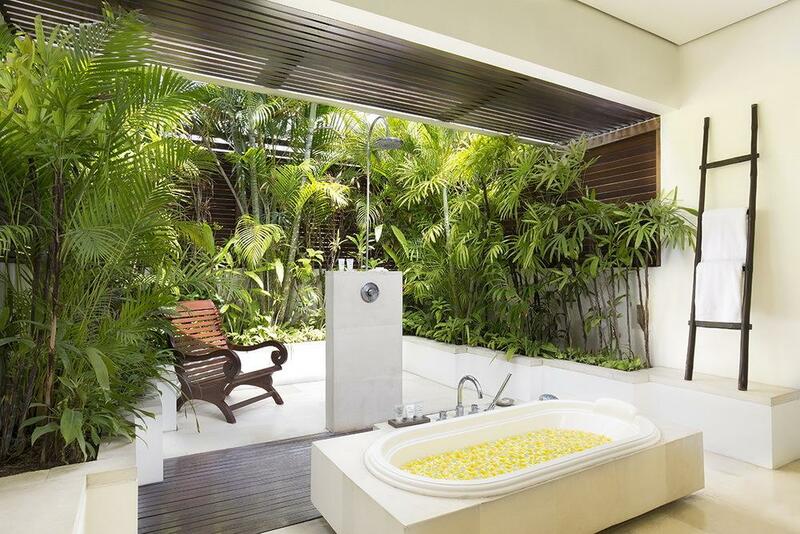 Fully staffed, 4-bedroom Luxur Seminyak Villa offers guests utter relaxation in one of Bali’s best locations, Seminyak. 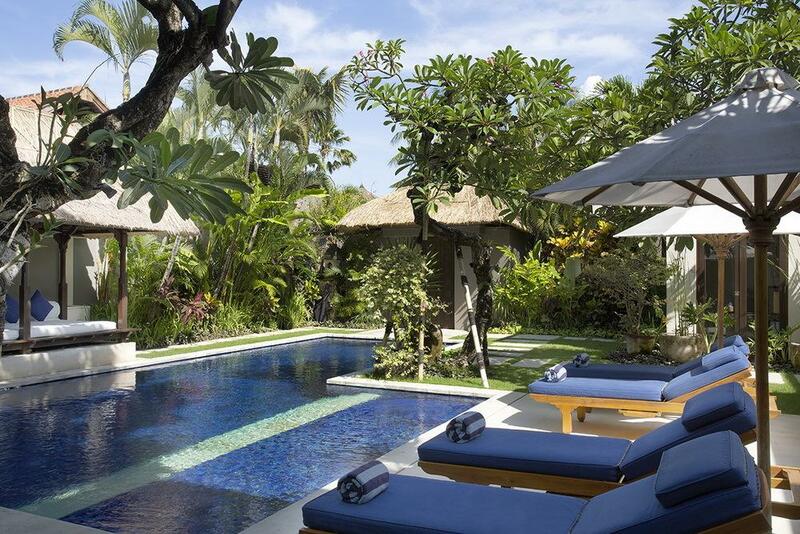 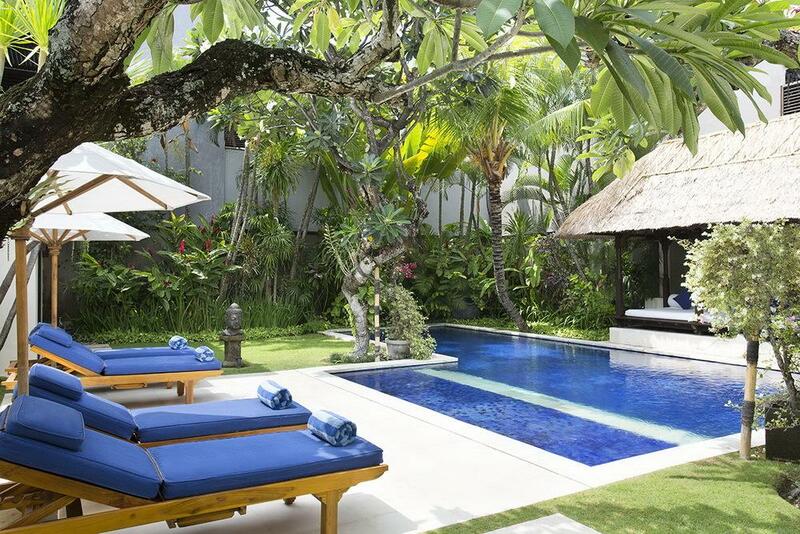 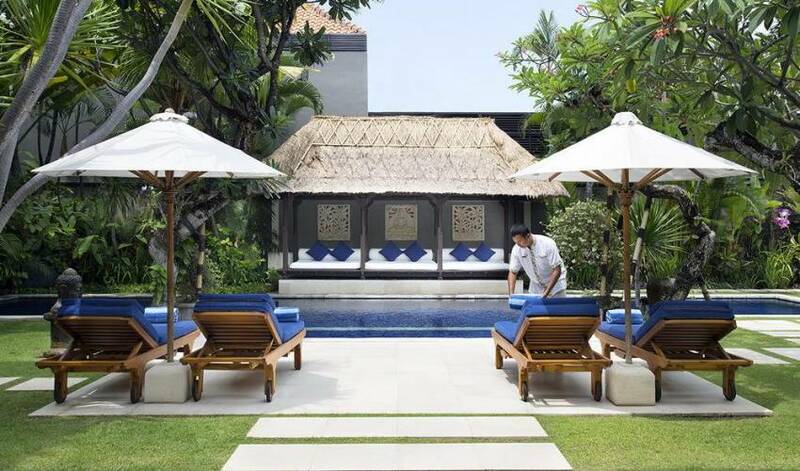 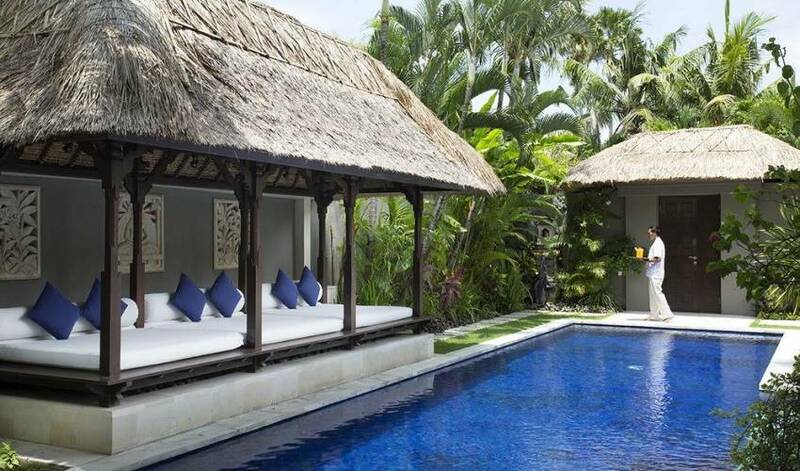 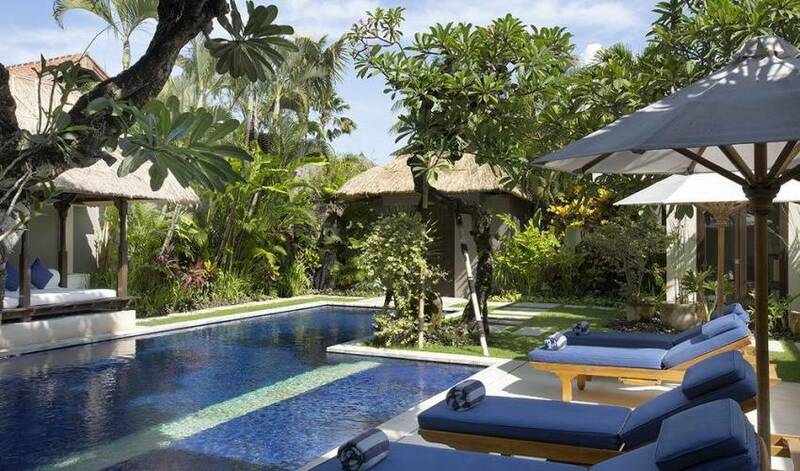 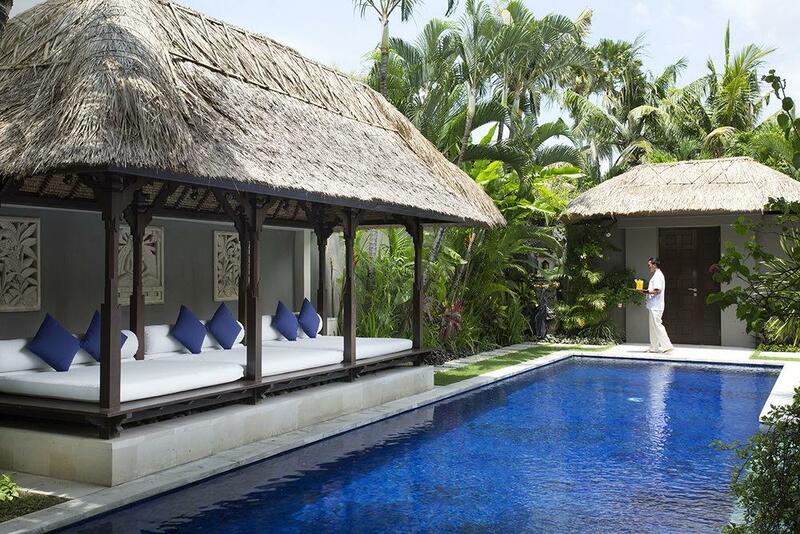 Embrace the tropical outdoor lifestyle that Bali is famous for, with lazy days spent lounging in the thatched bale alongside the inviting 16-metre pool, or in the bright, spacious living room that opens up to the gorgeous gardens. 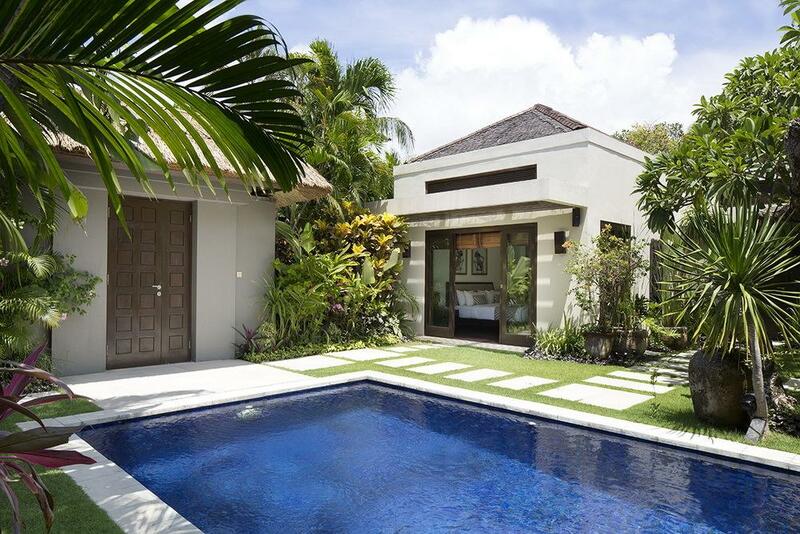 Three double bedrooms are well equipped and boast beautiful bathrooms, while the fourth (twin) bedroom, with adjacent shower room, conveniently doubles as a study/TV room. 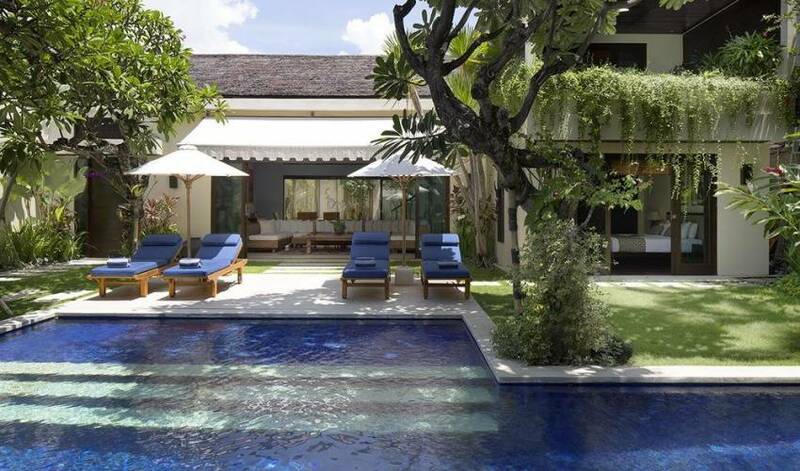 The villa is located in an exclusive and secluded enclave of individual private residences just off Seminyak’s buzzing Jalan Laksmana, where some of Bali’s best shopping, funkiest bars, sophisticated restaurants and cool cafes can be found. 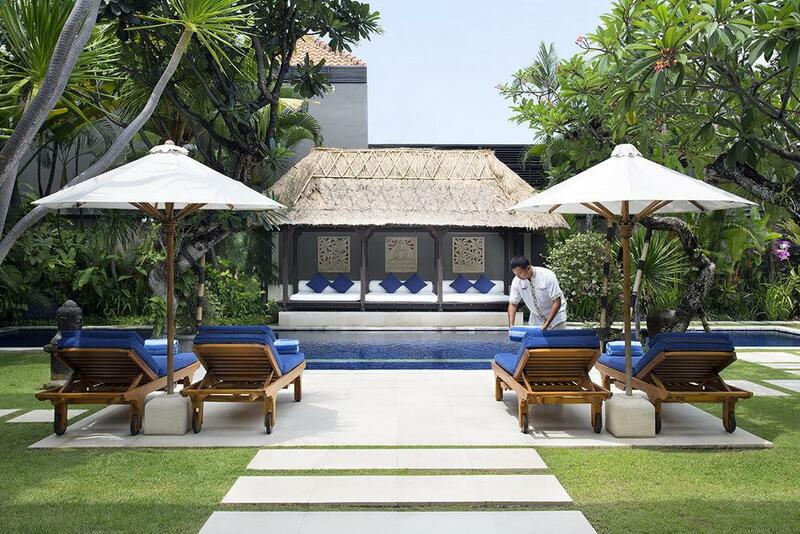 It’s a short walk to the ever-fashionable Ku De Ta, one of Bali’s premiere spots to sip a cocktail at sunset, and to the iconic La Lucciola, perfect for a meal overlooking the ocean. 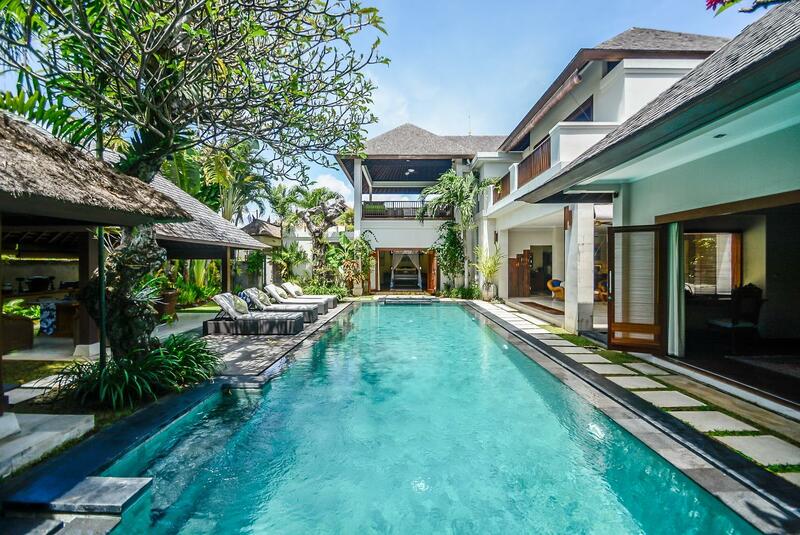 Seminyak’s surf beaches are close by as is Pura Petitenget, a beachside temple where you will often see locals dressed in stunning traditional clothes performing ancient ceremonies, and Bali’s number one sports and leisure venue, the Canggu Club.